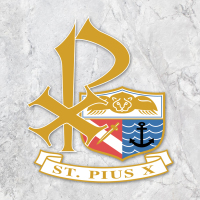 Instructions for Registering for St. Pius X CYO Basketball Program! Q: Who can Play St. Pius X Intramural Basketball? A: Any boy grades 3 - 12 or girls grades 3 - 8. No restrictions on residency – we welcome everyone for Intramurals! A: There are two intramural seasons. The first runs from September through December (the “Fall” season) and the second runs from January through March (the “Winter” season). Although this is subject to change, boys' grades 5 – 8 play in the Fall and grades 3 – 4 play in the Winter. Girls play in Winter. High School Grades will play in Fall and may continue in Winter. There may also be a 2nd grade clinic available in Winter if we have enough interest. Q: How are the grades combined? A: The grades are combined as follows: 3rd & 4th, 5th & 6th, 7th & 8th, 9th & 10th, 11th & 12th. These combinations may be subject to change based on numbers of registrants. Q: How many games are there? How long is each session? When are games played? A: Each season contains 10 weeks of practice / games. Typically the first 2 weeks are practice only and the next 8 weeks are games. The session will last 1 hour and will always be played on Saturdays at varying times from 9am – 6pm. Usually the first 20 minutes of a game will be spent practicing with the remaining 40 minutes of actual game playing. Q: Do you keep score? Do you keep standings? Are there Playoffs? A: The intramural program will run the same as last year. We will keep score for grades 5 – 12. For grades 3 – 4 we keep score but reset the clock to zero after each quarter. No standings, no playoffs. All grades have refs. The refs are former players in our program. They are there primarily to instruct the children on how to play basketball. Q: What is the 2nd grade clinic? A: This is a clinic-only 10 sessions run once a week for those kids that are just learning the game of basketball. The entire session focus of basic foundations of basketball, teaching kids dribbling, shooting, and passing. As kids feel more comfortable they will also learn rules of the game and game-like plays. A: Signups will begin in June with online registration ONLY - Click HERE to access online registration. Online registration ONLY. We need to hold registration early in the summer so we can plan the schedule, have the teams set, the coaches selected and the jerseys ready for a September start. A: The cost for the intramural season is $125 which includes a Jersey. A: YES! Click HERE to pay by credit card. Q: Can I request to play with my friends? A: We cannot guarantee any requests. Any questions please email stpiusxcyohoops@gmail.com or see the St. Pius X CYO website for additional information.